Quintrex New Trident 610,650 and 690 Models were designed to incorporate all the features an Offshore Fisherman could need. Built to rule the ocean. The Trident is Quintrex’s first range of offshore fishing models to feature the Millennium Blade Hull constructed from tough 5mm plate bottom sheets. Available as a 610,650 and 690, the Trident is built to combat the unpredictable conditions of the open water. Created using stretch forming technology the concave flare of the Millennium Blade Hull's sharper entry point, increased deadrise and a narrower shoulder, allowing the Trident series to cut through rough water like a knife. Come in and see our Trident series. Sistership photos displayed, including serval factory options available. 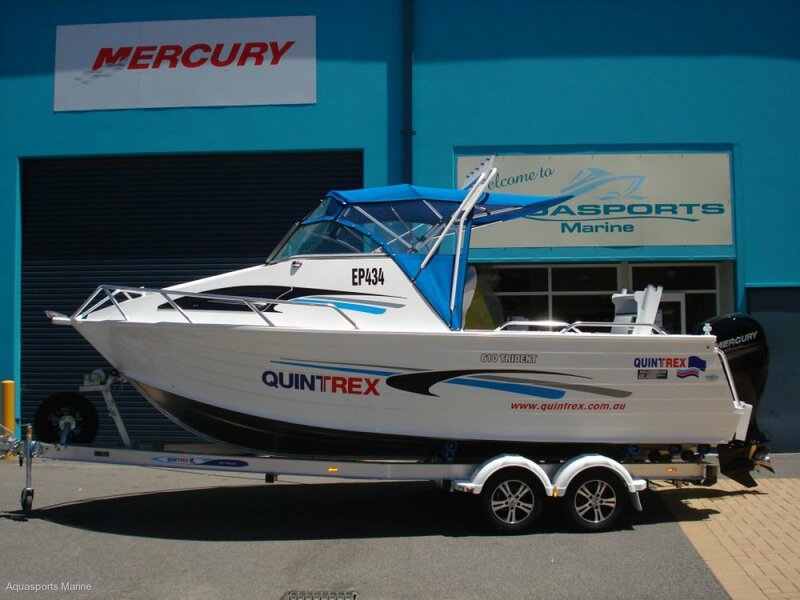 Mercury outboard of your choice, 2 Stroke, DFI or 4 Stroke EFI, Verado 4 Stroke Supercharged. We have the entire range.